A dedicated team is extending IBM’s cloud-based technology to outer space, and bringing us one step closer to a science fiction future where intelligent talking helper robots collaborate with astronauts. And 11 pounds of that was a talking robot, roughly one foot in diameter. All of its plastic and metal was generated by 3D printers. 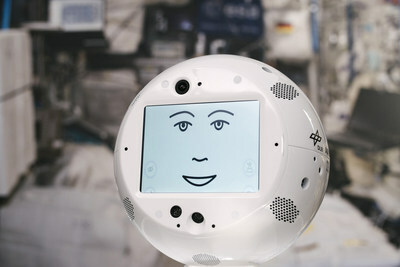 “He started out as a round sphere of plastic,” reads Entry One in IBM’s project journal — noting that originally the engineers just called him “spaceball.” But eventually they chose the name CIMON — which stands for “Crew Interactive Mobile Companion.” The AI will be assisting 42-year-old astronaut Alexander Gerst, who even helped pick out its animated face and voice. 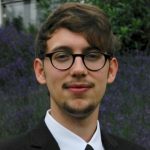 “Experiments sometimes consist of more than 100 different steps,” explained IBM engineer Matthias Biniok, one of CIMON’s lead architects, on IBM’s Think blog. “CIMON knows them all.” The blog post argues that this brings the astronauts into “a genuine dialogue” with their new interactive assistant. CIMON is the result of the efforts of a 50-person team from Airbus, DLR, IBM and the Ludwig-Maximilians-Universität Munich, all overseen by Space Administration at the German Aerospace Center. 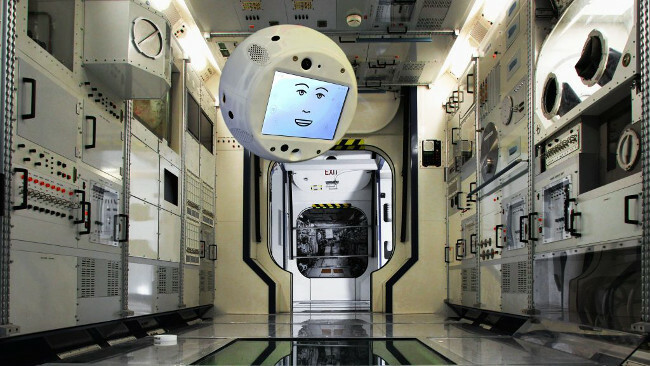 CIMON is tapping into IBM’s Watson technology, explains Airbus, adding that CIMON is designed to not only help the human astronauts but to also create “a feeling of talking to a crewmate.” CIMON recognizes emotional cues like excitement or unhappiness. Training data included phrases and sentences with emotional cues — happy, sad, excited, lonely — equipping CIMON to appropriately respond not just with information, but also with suggestions and even emotional support. The hope is to ultimately make CIMON function as more than just a machine. 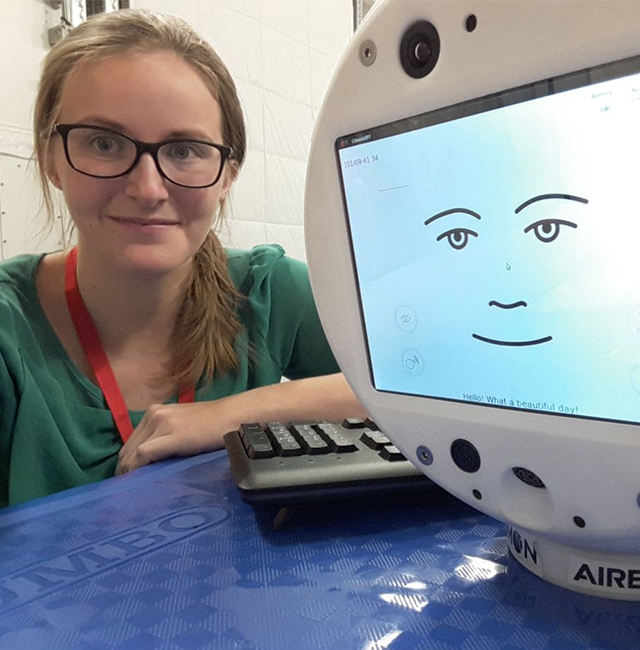 “CIMON’s digital face, voice and use of artificial intelligence make it a ‘colleague’ to the crew members,” Biniok wrote on IBM’s Think blog in February. News of the project quickly captured the imagination of us earthbound humans. Today’s supply launch 🚀 to the ISS will carry Airbus-built astronaut assistance system #CIMON 👨‍🚀 designed to support astronauts in their daily tasks. There are three experiments planned with CIMON. In one CIMON will behave as “an ‘intelligent’ flying camera,” according to Airbus. Reuters points out CIMON has eight different onboard cameras. Another experiment involves crystals, and a third involves seeing whether CIMON can help Gerst solve a Rubik’s cube. “Unlike HAL, it won’t be able to open the pod bay doors,” joked the Washington Post. In fact, if you ask it to open the pod bay doors, CIMON will actually respond, “I’m sorry, I cannot” — just to mess with your head. Maybe it’s all proof that technology can lead you in unexpected directions. Before working on CIMON, Biniok was using Watson to assess damaged cars for insurers, and had also helped Watson create virtual assistants for banks and airlines. 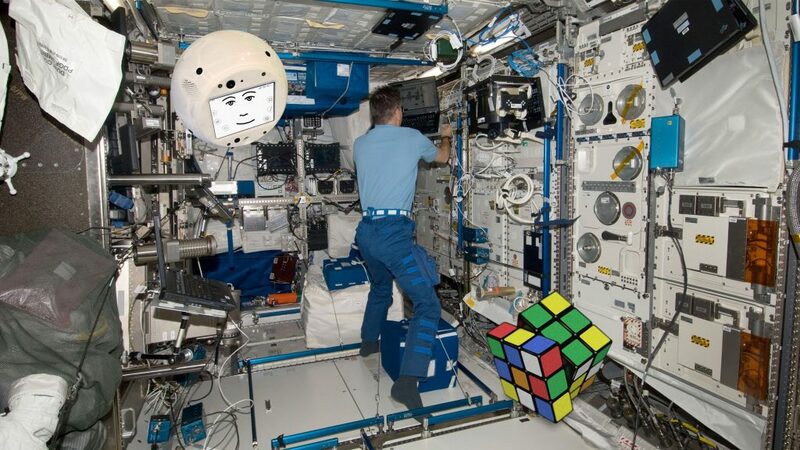 “The ISS needed a virtual assistant that combined conversation services, work assistance, facial recognition and navigation capability,” explained the CIMON project journal. A floating robotic factory will build satellites and spaceships in orbit. Classic 1984 video game Robot Odyssey relaunches online. Will screens be replaced by a new user interface? Con artists use technology to scam Uber — but Uber uses machine learning to stop them. The technology behind the world’s tallest piece of public art — the nine-story interactive video that’s projected onto the Salesforce Tower.